Jesus says in John 5:29 that at the resurrection those who have done good will get LIFE and those who have done evil will get damnation. James, Paul, John and Peter say the same thing. John. 5:28 Marvel not at this: for the hour is coming, in the which all that are in the graves shall hear his voice, 29And shall come forth; they that have done good, unto the resurrection of life; and they that have done evil, unto the resurrection of damnation. James. 2:13 For he shall have judgment without mercy, that hath shewed no mercy; and mercy rejoiceth against judgment. John 14:23 Jesus answered and said unto him, If a man love me, he will keep my words: and my Father will love him, and we will come unto him, and make our abode with him 24 He that loveth me not keepeth not my sayings: and the word which ye hear is not mine, but the Father’s which sent me. James. 2:20But wilt thou know, O vain man, that faith without works is dead? 21Was not Abraham our fathered by faith alone” even though the Bible says we’re not saved by faith alone. We tend to believe that if we must DO anything at all to be saved, then it is ”works salvation” and the biggest theological error under the sun (and a sin). Naturally we can’t save ourselves, because we are all in need of cleansing in the blood of Jesus, and we can’t earn our salvation by anything we do or believe, but there are still conditions for our salvation and that is to believe, repent and obey God. This is something that we must DO. Matthew 25 contains three parables that all have the point that what we DO affect our final destination – heaven or hell. This might be referred to as heresy in the Church today, but the Bible disagrees. 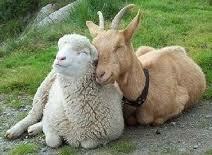 Read the parable between the sheep and the goats. Both the sheep and the goats believed in the one they communicated with – Jesus – and also demons accept that Jesus is the son of God and even confess this out loud! This won’t save them, which is James’ point. (Not that demons are angels and can’t be saved, because the subject in James 2 is ”Deeds”.) Faith without deeds is dead. Matthew 25:31When the Son of man shall come in his glory, and all the holy angels with him, then shall he sit upon the throne of his glory: 32And before him shall be gathered all nations: and he shall separate them one from another, as a shepherd divideth his sheep from the goats: 33And he shall set the sheep on his right hand, but the goats on the left. 34Then shall the King say unto them on his right hand, Come, ye blessed of my Father, inherit the kingdom prepared for you from the foundation of the world: 35For I was an hungred, and ye gave me meat: I was thirsty, and ye gave me drink: I was a stranger, and ye took me in: 36Naked, and ye clothed me: I was sick, and ye visited me: I was in prison, and ye came unto me. 37Then shall the righteous answer him, saying, Lord, when saw we thee an hungred, and fed thee? or thirsty, and gave thee drink? 38When saw we thee a stranger, and took thee in? or naked, and clothed thee? 39Or when saw we thee sick, or in prison, and came unto thee? 40And the King shall answer and say unto them, Verily I say unto you, Inasmuch as ye have done it unto one of the least of these my brethren, ye have done it unto me. 41Then shall he say also unto them on the left hand, Depart from me, ye cursed, into everlasting fire, prepared for the devil and his angels: 42For I was an hungred, andye gave me no meat: I was thirsty, and ye gave me no drink: 43I was a stranger, andye took me not in: naked, and ye clothed me not: sick, and in prison, and ye visited me not. 44Then shall they also answer him, saying, Lord, when saw we thee an hungred, or athirst, or a stranger, or naked, or sick, or in prison, and did not minister unto thee? 45Then shall he answer them, saying, Verily I say unto you, Inasmuch as ye did it not to one of the least of these, ye did it not to me. 46And these shall go away into everlasting punishment: but the righteous into life eternal. The difference between the sheep and the goats is therefore what they DO. The sheep end up on the right side, and they are the ones that have done something good (righteousness), and the goats end up on the left side, and they are the ones that have neglected to do something good. They have NOT shown compassion and mercy. Lack of fruit can hinder us from entering the kingdom of God. We can read this in John 15 where the branches are cut off and thrown in the fire due to lack of fruit. We are not saved by merely believing in a ”package”. We could compare with the angels in the beginning of the creation. I don’t believe they had a problem to ”believe in God”, or to accept him as their Creator. Still, we can read that 1/3 of them fell when they followed Lucifer on his wicked ways. It was once again what they DID which affected the continuation of the story – in the future they will be thrown in the lake of fire which was prepared for them from the beginning of the world, due to their deeds. The other parables in Matthew 25 are the well known parables of the ten virgins and the one about the talents. All the ten virgins ”believed” in the bride groom and waited for his arrival. What they DID and DIDN’T DO made all the difference for what happened next. They all had lamps, but half of the girls had chosen to not bring any extra oil even though this might be needed. We can see that it probably concerned spare oil since the foolish girls said the lamps are ”gone out”. This means the lamps had previously given light, but they did not endure to the end due to lack of oil. We are told by Jesus that we must endure to the end to be saved! The wise girls had chosen to bring some spare oil with them which was a good choice. Our choices make the difference! Also the parable with the Talents shows that our choices and our actions affect the outcome of things, and also here we can see that it concerns eternal life (with various rewards) or eternal damnation. We have a choice whether we would like to be a Jesus SHEEP or not, and we also have a choice whether we would like to remain his sheep to the very end. At no point do we lose our free will. Let’s see what the Bible says about sheep. Numbers 27:14For ye rebelled against My commandment in the Desert of Zin, in the strife of the congregation, to sanctify Me at the water before their eyes.” (That is, the water of Meribah in Kadesh in the Wilderness of Zin.) 15And Moses spoke unto the LORD, saying, 16″Let the LORD, the God of the spirits of all flesh, set a man over the congregation, 17who may go out before them and who may go in before them and who may lead them out and who may bring them in, that the congregation of the LORD be not as sheep which have no shepherd.” 18And the LORD said unto Moses, ”Take thee Joshua the son of Nun, a man in whom is the Spirit, and lay thine hand upon him; 19and set him before Eleazar the priest and before all the congregation, and give him a charge in their sight. 20And thou shalt put some of thine honor upon him, that all the congregation of the children of Israel may be obedient. Despite of being God’s sheep, israel could cause God to anger due to their rebellion, and they were told to not harden their hearts. We can read that God was GRIEVED when they provoced him, tempted him and erred in their own hearts. We all make God grieve when we walk our own ways instead of his way. Psalm 95:6O come, let us worship and bow down: let us kneel before the LORD our maker. 7For he is our God; and we are the people of his pasture, and the sheep of his hand. To day if ye will hear his voice, 8Harden not your heart, as in the provocation, and as in the day of temptation in the wilderness: 9When your fathers tempted me, proved me, and saw my work. 10Forty years long was I grieved with this generation, and said, It is a people that do err in their heart, and they have not known my ways: 11Unto whom I sware in my wrath that they should not enter into my rest. We can read also in Isaiah that God has reasons to be angry and to show his wrath against a wicked people, who show much evil, arrogancy, pride and haughtiness – totally against his will. 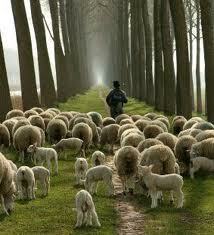 Sheep are compared with people who walk their own ways. Sheep often go astray but that is never the purpose of the shepherd. 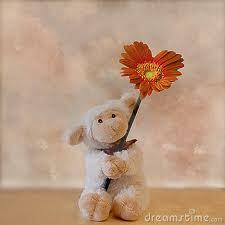 The shepherd would prefer that his sheep were always close by to pay attention to him and obey him. Isaiah 13:11And I will punish the world for their evil, and the wicked for their iniquity; and I will cause the arrogancy of the proud to cease, and will lay low the haughtiness of the terrible. 12I will make a man more precious than fine gold; even a man than the golden wedge of Ophir. 13Therefore I will shake the heavens, and the earth shall remove out of her place, in the wrath of the LORD of hosts, and in the day of his fierce anger. 14And it shall be as the chased roe, and as a sheep that no man taketh up: they shall every man turn to his own people, and flee every one into his own land. Jeremiah tells us about God’s people – his sheep israel – who unfortunately have been scattered due to false shepherds who have caused them to go astray. They have turned away and forgotten their restingplace. There is always a risk that ”wolves in sheep’s clothing” can cause sheep to go astray, and sometimes these wolves don’t even need sheep’s clothing to cause people to err. The risk of being lost applies even if the sheep belong to God himself. God is powerful enough to ”keep” his sheep, and God could easily cause all sheep (people) in the whole world to be his for good, but that would interfere with our free will which God prefers that we have. WE are responsible for making sure to abide to the true shepherd, and we are warned about false pastors which could cause us to go astray if we are not on our guard. Ezekiel makes an interesting prophesy about shepherds (and God’s own shepherds!) who have not been doing their job to take care of the sheep as God expects them to do, but instead they have kept feeding themselves. Ezekiel lists several things which these shepherds have failed to do, with the result that the sheep have become prey and scattered all over the earth. But God promises to step in sometime in the future, and take over. God will JUDGE the shepherds, because they have acted against God’s will and they are responsible for their neglect to take care of the flock. God will also judge between the flock itself, because not only are shepherds responsible for taking care of their sheep, but the sheep are responsible for listening to the shepherds. Jesus tells his disciples that he will be sending them as sheep among wolves, and warns them therefore that they must be wise. They are warned they must beware of men, because they could certainly interfere and harm them. Jesus tells his own believing disciples that they will be hated for his name’s sake but he that endures to the end shall be saved. 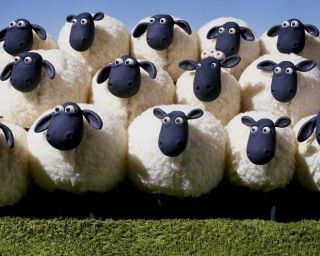 Jesus didn’t give his sheep fake and meaningless warnings but in Matt 10:16–22 he explains to his disciples that they must be on their guard because of a real danger that lies ahead of them. If they don’t stay strong, they risk going astray and become lost. This is the opposite from saying ”you will be safe no matter what because you’re my sheep”. There is no reason to tell people to beware of false prophets if they can never go astray. Matthew 10:16Behold, I send you forth as sheep in the midst of wolves: be ye therefore wise as serpents, and harmless as doves. 17But beware of men: for they will deliver you up to the councils, and they will scourge you in their synagogues;— 22And ye shall be hated of all men for my name’s sake: but he that endureth to the end shall be saved. But this doesn’t mean the man absolutely WILL find the sheep. It just means that he will never give up as long as their is a hope, just like a mother who will never give up on her lost child. The Father of the prodigal son never gave up on his lost son, but he didnt go out and force him to return. In Matthew we can read the same parable, but here we can read ”IF so be that he finds it”, meaning that it’s not certain. IF a person repents from his sins, there will be lots of joy in heaven! We can read that the Father does not want ONE of those little one to perish. Jesus also gives very serious warnings concerning sins. He says that it’s better to pluck our eye out if it causes us to sin, so that we can escape HELL. He doesn’t say born again christians are excempted from this danger but he actually addresses his disciples, and all of us. Jesus came to save that which is LOST which would be all who have been guilty of sin, which are all who are aware of the law. Also read the parable which Matthew 18 ends with. A servant is cleansed from his debt (sins) and should have been a forever ”forgiven sheep” of this King, but later the same already forgiven debt is put back on his shoulders once again when he (the servant) refuses to forgive another servant. The parable ends with declaring ”35So likewise shall my heavenly Father do also unto you, if ye from your hearts forgive not every one his brother their trespasses”. This again, is a warning to all of us. God’s born again sheep are not excempted from this danger, but there is a risk that we refuse to forgive another person and thus jeopardize our salvation. Matthew 18:9And if thine eye offend thee, pluck it out, and cast it from thee: it is better for thee to enter into life with one eye, rather than having two eyes to be cast into hell fire. 10Take heed that ye despise not one of these little ones; for I say unto you, That in heaven their angels do always behold the face of my Father which is in heaven. 11For the Son of man is come to save that which was lost. 12How think ye? if a man have an hundred sheep, and one of them be gone astray, doth he not leave the ninety and nine, and goeth into the mountains, and seeketh that which is gone astray? 13And if so be that he find it, verily I say unto you, he rejoiceth more of that sheep, than of the ninety and nine which went not astray. 14Even so it is not the will of your Father which is in heaven, that one of these little ones should perish..
Matthew 25 tells us about 5 foolish maids/virgins who forgot to bring enough oil with them to their lamps while waiting for the bride groom. This was their own responsibility, and had they acted like the other 5 virgins who brought enough oil with them, they would have been ”sheep”, and they would not have been lost. We can also read about another parable about various amounts of talents, and about our own responsibility to make a high profit to present to the Owner. 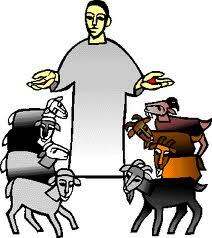 The rest of Matthew 25 tells us who the sheep are, as compared with the goats. The Bible doesn’t say ”once sheep, always sheep”, but if we endure to the end we will be among the saved. Matthew 25 makes it clear that God’s sheep are those who DO GOOD. Many of us have been indoctrinated to believe that doing something (works) has nothing to do with our salvation, but it certainly does according to the Bible. We can forfeit our salvation if we refuse to show compassion with people around us, and neglect to DO GOOD towards them. This is again a serious warning to all of us. Some might suggest that sheep will naturally always do good, and goats will not, but this is certainly not always the case. It’s true that doing good should come very natural for a sheep, but unfortunately this is not always true. The sheep and the goats are not divided between those who believe in Jesus and those who do not, but among those who do good and those who do not. This is about fruit. YOU decide whether you are a sheep or a goat, and you show this with what you do. Sins will always place you among the goats, unless you repent. Stay strong and don’t let Satan win in your life. The Holy Spirit is your Helper and He can guide you. James says in James 2 that faith without works is dead so make sure you’re not only ”praying” (which is a good thing) but also DOING something for the kingdom of God. Spreading his word and doing good to others. Matthew 25:31 When the Son of man shall come in his glory, and all the holy angels with him, then shall he sit upon the throne of his glory: 32And before him shall be gathered all nations: and he shall separate them one from another, as a shepherd divideth his sheep from the goats: 33And he shall set the sheep on his right hand, but the goats on the left. 34Then shall the King say unto them on his right hand, Come, ye blessed of my Father, inherit the kingdom prepared for you from the foundation of the world: 35For I was an hungred, and ye gave me meat: I was thirsty, and ye gave me drink: I was a stranger, and ye took me in: 36Naked, and ye clothed me: I was sick, and ye visited me: I was in prison, and ye came unto me. 37Then shall the righteous answer him, saying, Lord, when saw we thee an hungred, and fed thee? or thirsty, and gave thee drink? 38When saw we thee a stranger, and took thee in? or naked, and clothed thee? 39Or when saw we thee sick, or in prison, and came unto thee? 40And the King shall answer and say unto them, Verily I say unto you, Inasmuch as ye have done it unto one of the least of these my brethren, ye have done it unto me. 41Then shall he say also unto them on the left hand, Depart from me, ye cursed, into everlasting fire, prepared for the devil and his angels: 42For I was an hungred, and ye gave me no meat: I was thirsty, and ye gave me no drink: 43I was a stranger, and ye took me not in: naked, and ye clothed me not: sick, and in prison, and ye visited me not. 44Then shall they also answer him, saying, Lord, when saw we thee an hungred, or athirst, or a stranger, or naked, or sick, or in prison, and did not minister unto thee? 45Then shall he answer them, saying, Verily I say unto you, Inasmuch as ye did it not to one of the least of these, ye did it not to me. 46And these shall go away into everlasting punishment: but the righteous into life eternal. Do read this article about John 10:28, and particularly verse 27 which identifies the sheep. Jesus sheep are those who LISTEN to him and FOLLOW him, so as long as we do this (Greek continuous tense), we are totally safe. Jesus is not going to put us away, but of course he doesn’t force us to remain with him – due to our free will.